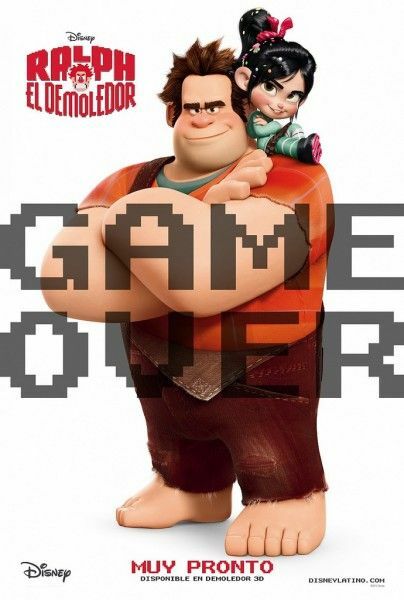 Earlier this week Collider was invited to visit Disney’s animation studios to check out almost half-an-hour of footage from its upcoming video game riff, Wreck-It Ralph and chat with the film’s director Chris Moore and several of the animators. 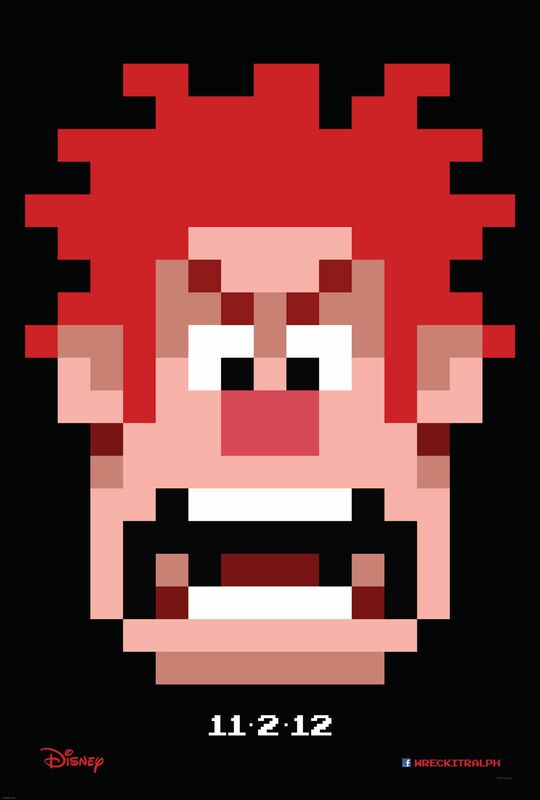 During the visit, we saw how the film moved from concept to screen and got a peek inside the technical challenges involved in bringing the Ralph’s five wildly different worlds to pixelated life. 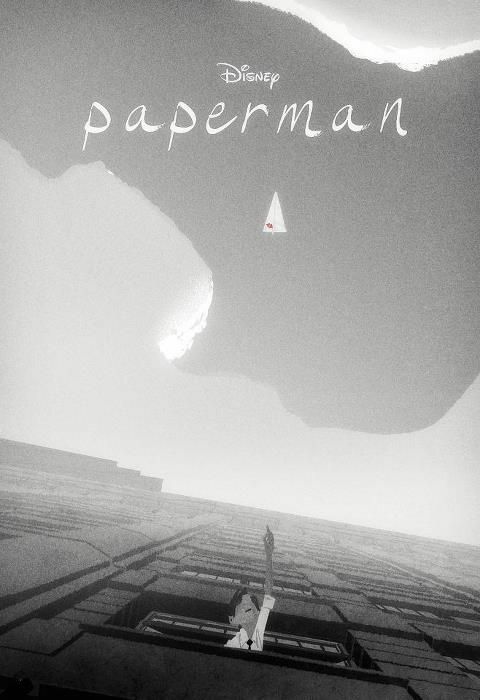 Hit the jump to find out about Paperman, the innovative new short that will be paired with Ralph, and the top 25 things to know about the feature. Paperman is a sweet and romantic new short that combines traditional animation with computer renderings to create a whimsical world that mixes the two art forms in a way that I have never seen before. The film, which tells the story of a work-a-day stiff who tries to get the attention of the girl of his dreams with the help of some paper airplanes, was created using CG models that artists then drew over in places. It’s kind of like Waking Life or A Scanner Darkly, but much more inviting. First time director John Kahrs shows some serious chops. While the short is sort of an experiment to test out new technology, the characters and visual storytelling never once stop to call attention to the technical prowess. Instead, all we see is the magical realism of the film’s 1940s world and the plucky sincerity of its characters. A great short, both technically, aesthetically and emotionally. 2. This film is Disney’s 52nd animated film. 3. There are five worlds in the movie: Niceland (Ralph’s home inside the Fix-It-Felix game cabinet), Game Central Station (where video game characters travel between worlds after the arcade closes), The actual arcade where all the games are held, Hero’s Duty (a Halo style FPS) and Sugar Rush (a Mario Kart style racer set in a world made of candy). 4. Art Director Mike Gabriel described the movie’s scope. “It’s a big movie, bigger than normal,” said Gabriel. “I have some of the numbers: The normal film has 40-60 unique characters. This one has 188. Most films about 25 master sets. This one has 79, almost 80 sets. 5. Gabriel described how the filmmakers gave a different favored shape to each world in order to differentiate them more fully. Niceland is square and clean, Game Central Station is clean lines, “Almost a sorbet to cleanse the pallet,” said Gabriel. Hero’s Duty is triangular and features an evil acid green. Gabriel compared it to the work of Ridley Scott. Sugar Rush is predominantly made of soft colors, pastels an circular. 6. The design for the interior of Game Central Station came from cutting up power strips and looking inside. 7. The design of Sugar Rush is heavily influenced by the work of Antoni Gaudí. 9. Original concepts for the world of Niceland were thrown out because they felt too similar to videos readily available on the internet. Instead, the filmmakers developed a more complex three-dimensional take on the 8-bit world they kept the feeling of an old Nintendo cycle, but still looked and moved like a big budget Disney feature. 11. Other research including racing go karts, playing tons of video games, eating lots of candy and traveling to Barcelona to look at architecture. 12. The whole of Disney’s Animation Studio is decked out with Wreck-It-Ralph gear. Each stage of development is plastered on the wall. Early takes on Ralph and Felix hang as posters, mock up designs for Sugar Rush, made entirely of candy, sit next to the entrance under glass. They even retrofitted the snack room to look like an old 1980s arcade, complete with button mashing game cabinets. 13. This is not unique to Ralph. The animation studio is constantly reworked to help create a positive atmosphere for each new project. 14. Ralph went through dozens of different character designs but most often stayed a humanoid with a small head and giant hands, except during the three weeks where he was a giant white ape. 15. The filmmakers wrote the script with all the cameos before going to clear any of them. They went and personally spoke to the heads of many different gaming companies in order to secure the character rights to the film’s many cameos. They also allowed for the game companies to give notes and final approval on the use of characters. 16. One of the strangest notes on character usage came from Nintendo, who insisted that Bowser would drink tea differently. 17. Though the film stays true to the essence of each video game cameo there was one major concession, size. Many of the gaming companies complained that their characters, particularly their villains would be much, much bigger. Eventually, the filmmakers decided to cheat that aspect so that M. Bison could share the screen with Bowser without necessitating ridiculous angles. 18. John Lasseter’s name came up dozens of times during the day. 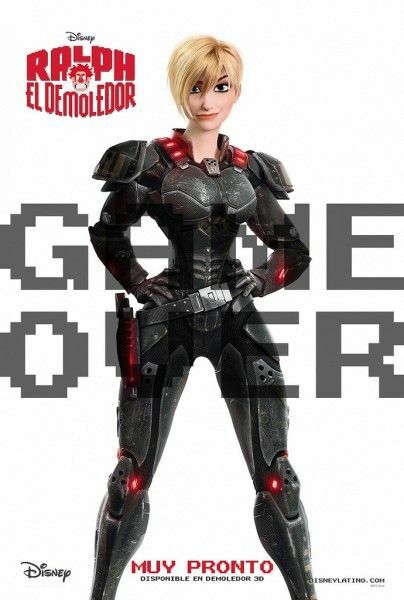 Though this is not a Pixar film, it is clearly following a more Pixar model. Ralph had to figure this model out five times over. 20. Another Lasseterism, “Celebrate the style” of each world. Figuring out Niceland took a lot of celebrating the 8-bit. 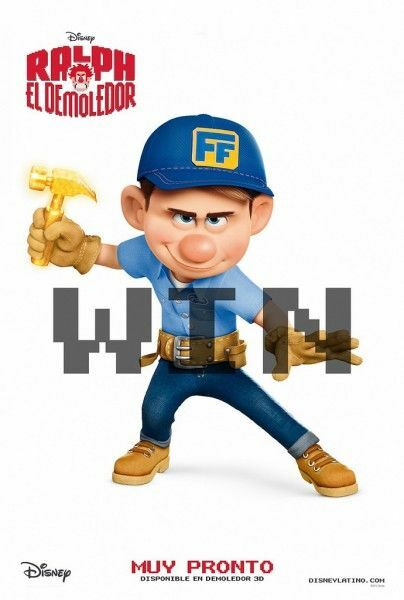 For more on Wreck-It-Ralph, here’s our recap of the footage we saw including our recap on the process of creating the films five unique worlds.